Let's begin with tea. What are the top three or four things we should not do in order to avoid embarrassment during tea? 1. Pace yourself. Avoid the temptation to scarf down the whole tea tray in under five minutes. 2. Never covet another person’s scones. There should be enough for you all to share, but if not, that is what the waiter is for. And it is pronounced scon as in con. 3. Dress appropriately. I still bear the scars of being politely escorted from the Ritz in London for wearing footwear which was too casual for tea time. 4. There is a difference between Afternoon and High Tea. Afternoon tea is for girls, High Tea for boys is one way to remember the difference. 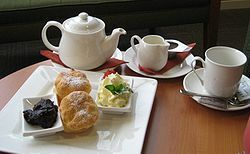 Afternoon tea has scones, cakes, sandwiches and tea and held in the late afternoon tea, while High tea is held closer to 6:00 as is more of a supper with meat dishes and with luck a beer or two. LUCY: What was your favorite "tea" episode in the series so far? PAMELA: The Dowager is at the center of most tea time conspiracies. My favorite has to be at the end of Season 2 when Violet and Cora plot to lure Isobel towards another worthy cause, and away from Downton, so that they would be free to reclaim their home again. LUCY: I LOVED that episode too! Could you spare a recipe, maybe for must-have scones? PAMELA: This scone recipe will change your life. Not too much fat, not a lot of fuss and number of variations for sweet and savoury. Quicker and cheaper than a drive to your favorite coffee shop. LUCY: A life-changing scone recipe--I love it! And you are publishing an e-cookbook? When's it coming and what will be in it and how can we get our hands on it? PAMELA: Sharing the history and food of Downton Abbey is a personal passion of mine to provide inspiration for people to reconnect with food and try to cook a dish or two on their own. Much like my CD collection, I went to great lengths to cull my cookbook collection and am a big fan of digital versions. This allows me to take my cooking inspirations with me wherever I go. My own cookbook would help me finally dispense with the huge binders of recipes I have carried around for years. Entertaining in the Edwardian era was key to the lifestyle of the Crawleys and other aristocracy. My book, Downton Abbey Cooks Entertain, will provide recipes for a number of occasions, suiting the era as much as today. Hosting your own Downton Abbey viewing party is just as important Downton themed Christmas or garden party. I believe that anyone can be a Downton Abbey Cook. The variety of recipes will have something for the skill levels of a Mrs. Patmore, a Daisy or even a Sybil. I was approached by Penguin USA and a California publisher to write for them, but in the end am taking the self-publishing publishing path. As a professional marketing and Social Technology Consultant, I think I should be able to swing a December release on Amazon. I am working with organizers to help Vermont Public Television host a great Season 3 culinary launch weekend at the famous Essex Resort and hope to be able to provide some of my recipes in a takeaway for that audience so I am motivated to march on to completion. Stay tuned. LUCY: Thanks so much for visiting today! Readers, she'll be stopping in later to answer your questions! Good luck with the book, Pamela. Can't say I know many writers (You and Barry Eisler) who turn down major publishers. Hope you sell two million! Banished for inappropriate footwear?! As if anyone could actually see your feet under the table, anyway . . . .
Pamela, I am so excited to hear that you are writing a “Downton Abbey” cookbook . . . looking forward to that and wishing you every success with the book. Scon! I had no idea. Thank you Pamela (And Lucy) for saving me a career-ending me potential embarrassment! And yes, Joan, I'm interested as well..what inappropriate footwear? ..see, and I think I discovered you when someone Shared my Downton Abbey visit post!! LOVE your blog and eagerly await the scone recipe. I had an inexplicable craving for scones this week and used Nigella Lawson's recipe. (My fave so far. )But it seems the more I make them the better they get..slight tweaks to the recipe or slight addiction? How long did food last in those days? Did they have iceboxes? Jack: These scones make you king of the castle. Once you get a hang of the basic recipe you can quickly make savoury or sweet versions. I love making chocolate scones. The recipe makes a small quantity but so quick to put together you always have fresh. Please tell us more about the big Vermont event to kick off the third season of the show? Joan...yes, that was 12 years ago and I spent $200 on those shoes which were sporty mules...naked ankles were apparently an issue for the Ritz. When is this book available in digital? December? My husband has this idea of throwing a Downton Abby party - where everyone has to dress in period and if I agree to it,(already checking out the clothes websites) I could definitely use some recipes. Does this mean everyone has to drink sherry? As to scones, I have some great recipes I never make because they are just so incredibly fattening. I could use a life-changing recipe. I'm a huge fan of Downton Abbey and a tea drinker. Here in Boston we have several lovely places for a real afternoon tea -- of course the city famous for dumping it into the harbor would.The Boston Park Plaza actually has a tea sommelier. Thanks for all the tips, Pamela! That cookbook sounds like a GREAT Christmas gift. Oh, Downton Abbey Cooks! I can't wait for this cookbook, Pamela. Welcome to Jungle Reds. I'm dying to see the scone recipe. I have some authentic and delicious recipes, but like Jan, I don't make them much anymore because they're so fattening. I could definitely use a life-changing scone recipe. Thanks for stopping by, Pamela, and wishing you great success with the cookbook! I have to get this book, Pamela--and how I long for a cook who would suggest the quails in aspic and then produce them! I already own an old Mrs. Beaton and my family expects cream teas every time they come to visit. One of my favorite parts about writing my current Royal Spyness series is describing the meals--Christmas time banquets in the latest one. I eat vicariously! This may sound like a silly question, but how do you give an ebook as a gift? And Pamela, will there be paper copies for us luddites? Oh, what a treat! I fondly remember my first Afternoon Tea at the Empress Hotel in Victoria, BC -- where the elderly waitress had to suggest that "the lady" (me) might care to pour for the gentlemen (my two gay friends cuddled on the settee across from me). I'm sure I was wearing wooden soled clogs -- my standard footware then -- how lucky that I was allowed to stay! Pamela, do consider a paper version for folks like me who prefer to cook from a book or a binder than a screen. I've recently discovered that I can make gluten-free scones by substituting regular flour for blanched almond flour. It's not traditional, but it lets me have scones and the feeling of afternoon tea again without the guilt (even though the Dowager Duchess would probably be affronted by the idea). Will your cookbook also include some variations for gluten-free options, or is it focused on a collection of historical recipes? Either way, it sounds fascinating, and your timing of December is perfect for holiday teas (and gifts). Looking forward to the release, and I'm definitely checking out your blog! Hank: If you hang out with fellow Americans you will be safe if you slip up on the proper way to say "scone", but don't let the Dowager catch you...I am not sure if you would be banned from The Ritz for that violation. On my very first trip to London, my parents took me to afternoon tea at the Grosvenor House hotel. I have been addicted ever since, and always try to have at least one proper tea when I'm there. If Downton Abbey doesn't inspire tea time and scones, nothing would. Such an elegant custom, isn't it? Thinking back to my two trips to England I thought I'd only been to one tea, at Kensington Gardens lovely Orangerie. Where no one appears to care what one's footwear is like. But then Rhys's post reminded me of two Brit friends taking me to Liberty of London for a real cream tea one afternoon. Liberty's tea room is cozy and charming, with all the furniture wrapped and decoupaged in Liberty prints. The tea was wonderful, too, of course. Having self-published a paper book, I know how incredibly expensive it is. I hope your e-book version inspires a traditional publisher to pick up your work, Pamela. Until then, I'll be happy to add it to my Nook! Who cares if you don't live in Vermont. My husband and I live Toronto and we are going. 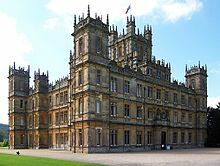 In fact, this Spring I tweeted (@downtoncooks) about a ladies luncheon that was being held at a hotel not that far from Highclere Castle. The guest speaker was Lady Carnvaron, the current Lady of Highclere where Downton is filmed. Sure enough, Ellen, a woman who lives in Boston saw the tweet and packed her bags. She was the highlight of the event as the "American at lunch" and was even seated next to her Ladyship at luncheon. So mark Jan. 5/6 on your calendar and plan your trip to join us to support public television amongst fellow Downton Abbey fans. Hey Jan, the plan is to self-publish for December. I have been pulling together some of my recipes which I have posted on my blog and many more in my huge book of clippings...I am more motivated to do an electronic book just to be able to pack away the hard copies. I actually wrote a lot about Edwardian parties: remembering Titanic (http://wp.me/p27trL-Dr) and viewing parties(http://wp.me/p27trL-Dr, http://www.vpt.org/daexp), so check out these links to give you/your husband inspiration. There are drink tips as well. By Season 3 I think Carson gets the concept of the cocktail! PJ: Heck ya, I checked out the Ritz washroom! We could have just as easily enjoyed tea there, they were so opulent and spacious. But then again that wouldn't be very ladylike! Glad you were able to enjoy the experience. I keep saying next time.. I will book! Jennifer: Scones are best enjoyed fresh while the mince pies, fruit cakes get better with age. Try my recipe...it makes a small batch so even if the experiment doesn't work (trust me it will)not much to dispose of. I often make a batch in place of dinner rolls. Linda: try my recipe and see how you like it. I embrace the classics which still are around today, and love exploring their history. Now that we do have better knowledge of nutrition, I do look for ways to keep the flavour, but not at the expense of health. And to "unknown": I have been playing around with gluten free versions of scones and may publish one if it passes my husband's blind taste test! Rhys: Aspic! What was it about aspic and the Victorians-they used it in everything...partly style but also to help preserve the dish somewhat. I do love a good gelatin, especially wine gelee...wine and jello, yum. I have been working on the holiday section of my book and knee deep in turkey, goose, plum pudding and mince meat pies. I am sure writing about it in your novel is just as mouthwatering as it cooking through recipes. Hard work, huh?! Ebook vs hard copy questions: I have been trying to live a more paper free life for years, and spent a heart breaking period parting with my printed cookbooks...like going from CDs to digital, but I did it except for the classics. Now many of my recipes are as close as my iPad or iPhone which I can take with me when I cook for friends. I suppose the plan is to publish the ebook first and see if sales will allow me to produce a print copy. Publishers have approached me before so I don't think that will be an issue...I suppose I am as strong headed as Mrs. Patmore when it comes to doing things on my own! Pamela, I do think that a lot of people who may embrace ebooks in other areas still prefer to use paper cookbooks to cook from. Most of my friends do. So you might give some thought to producing a paper version. With digital printers and short runs, it's not prohibitively expensive any longer. You can publish a few and use the money from their sales to do another short print run, etc. I believe you would increase sales dramatically, especially since this is a perfect gift book and many still prefer to give an actual book. Yes yes Linda, i would give this cookbook to EVERYONE at Christmas. 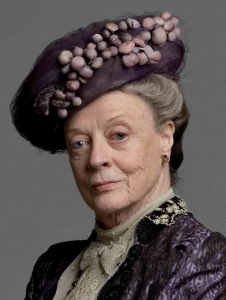 But on the other hand, if Pamela is as hard-headed as Mrs. Patmore, we may have to wait. That's what I was thinking, Lucy. It's just a perfect gift. I have so many friends I'd love to give this cookbook to, but many won't read ebooks, and none use ecookbooks. I love the idea of a cookbook. When does it come out and will it be sold in the United States? Scone recipe sounds like something I could make. I hear you Linda, but cooking is such a visual medium and I could so a cheaper print runs with no or few photos, it is those lovely pictures which make the cookbook are real experience. I am sure there is a happy medium, but the first challenge is to get it done, and settle on a cover...boy they really do judge a book by the cover! Your group has come up with some amazing covers. The Reverend Peter Gomes, Plummer Professor of Christian Morals at Harvard, had tea once a week for students. They were my first - the teas, not the students. I didn't know how to dress, where to stand, what to say, or when to leave. After a few years I did learn... mmm most of it. Once, a friend and I did stay too long. Prof. Gomes walked over to us and held out his hand, "It was lovely of you to come." We walked quickly to the coat room and ran down the alley to our "house."